In my new business, Kase Learning (www.kaselearning.com), I’m teaching value investing and hedge fund entrepreneurship to the next generation of investors. Our programs are aimed at experienced investors and are very hands-on, so they aren’t cheap ($1,500-$2,000/day), but for beginners, we’re offering a free two-hour seminar, An Introduction to Value Investing, in midtown NYC (57th and 7th) on Wed., April 4th from 5:30-7:30pm, followed by a cocktail hour. If you’d like to come, just email me and I’ll send you details. Whitney Tilson through www.kaselearning.com will be teaching value investing and hedge fund entrepreneurship to the next generation of investors. His programs are aimed at experienced investors and are very hands-on, so they aren’t cheap ($1,500-$2,000/day), but for beginners, he is offering a free two-hour seminar, An Introduction to Value Investing, in midtown NYC (57th and 7th) on Wed., April 4th from 5:30-7:30pm, followed by a cocktail hour. If you’d like to come, just email wtilson@kaselearning.com and Whitney will send you details. Investing and Hedge Fund/Entrepreneurship “Boot Camp” And other Courses. I attended Whitney Tilson’s and Glenn Tongue’s February 6th – 8th Boot Camp. I was initially skeptical but pleasantly surprised. Overall, I was impressed with the learning materials, the organization, and most importantly, the participants who attended. Whitney and Glenn were brutally honest and forthright in showing the rise and fall of their business. One can know the lessons of Munger, Buffett, Graham, and behavioral finance but still fall into a pit. Our main enemy is likely to be ourselves. There were many lessons taught, but my promise of confidentiality prevents me from giving details. The course would not be appropriate for a rank beginner, but for an entrepreneur who wishes to launch their own fund. The main value–besides the lessons taught–would be to cultivate relationships with the participants including Whitney and Glenn. I wouldn’t go to Whitney to help you get a job, but if you do a rigorous analysis of a company, I am sure Whitney or Glenn could give you honest feedback. And if they liked your work, they might suggest how you could reach a larger audience. Also, your classmates could help. The opportunity to build strong relationships with knowledgeable investors and hedge fund managers would be invaluable for someone beginning their fund. Each day was ten hours long with meals and cocktails afterwards, so you had plenty of opportunity to develop relationships. 60% of the course was how to improve as an investor, 20% life lessons, and 20% how to build your hedge fund. and June 12th through 14th. There are other courses available as well. Make sure you receive at Code: VW10: 10% off discount for VW readers when you register. If you want details on my experience of the course and what you might expect, please don’t hesitate to email me at aldridge56@aol.com with BOOT CAMP in the subject line. I will be happy to discuss with you. All the participants told me that they both enjoyed the boot camp and found it useful in developing their fund. Whitney solicited feedback each day, therefore, Whitney and Glenn should improve their course offerings. I give a thumbs-up. 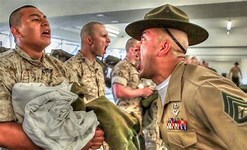 To learn more about the boot camp/Kase Learning programs you can go to www.kaselearning.com.